Realtor® Speak 102: What are all these charges on my HUD-1 Settlement Statement? First, a few notes. You may notice that I've opted to black out many of the figures and company names in the above image. In regards to confidentiality I felt it necessary to do so to protect the people involved. Overall, the message stays the same without giving too much information and exposing my clients, the lender, or the other agent and their clients involved in the transaction. I have also highlighted a few key things - Borrower's column, Seller's column, and the "Items Payable in Connection with Loan" section. I will dissect these in my post, but wanted you to notice them now. You may also notice that my hand is very shaky when drawing lines with Gimp (a open-source photo tool similar to Adobe Photoshop). The HUD-1 Settlement Statement contains a list of all the money passed around during a real estate transaction. Simply put, it is the official accounting of the sale and purchase of a home. It is required reading at the closing table and your agent should be aware of what's on it to make sure everything looks correct. They are often a bit confusing at first, but after you've seen a few of them or had them explained they suddenly begin to make sense. The above HUD-1 Settlement Statement is from a recent transaction where I represented the buyer. It is only a small piece of the statement in order to illustrate a point that often confuses many buyers and sellers. As I represented the buyer in the transaction, they had few questions about this section of the statement, because as you will see, all of the charges appear in the seller's column. 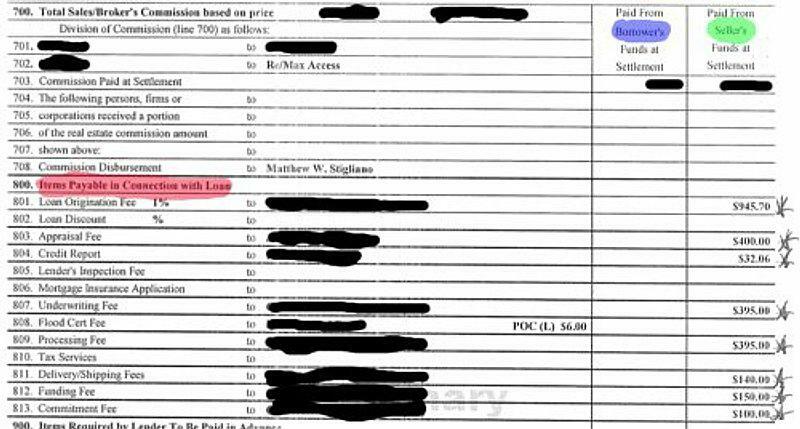 The red-highlighted section is for "Items Payable in Connection with Loan" (Section 800) - these are typically the lender's charges for giving you the loan. Since the buyer is taking out the loan, the lender charges them with the various charges such as Loan Origination Fee, Underwriting Fee, pulling a Credit Report and more (the 900 section on the form covers thing requires by the lender to be paid in advance such as taxes, insurance, and interest). Why is the seller being charged for the buyer's loan costs? Of course the loan costs should be in the buyer's column (blue-highlighted) and not in the seller's column (green-highlighted). Right? Well, not exactly. In this particular transaction, we had asked the seller to contribute some money to the buyer's closing costs (negotiated in the contract under Paragraph 12. A (1) (b) - Settlement and Other Expenses (see image below)). This is a common negotiation in a real estate transaction in order to help lower the initial cost of getting into a home for a buyer and helping the seller get their home sold. It is very common here in San Antonio for seller's to contribute to the closing costs of the buyer (I'd say 98% of the contracts I have seen involve some amount of seller paid closing costs). Because the seller in this particular contract had agreed to pay part of the buyer's closing costs, we have to account for this money in the HUD-1 Settlement Statement. Unfortunately, the title company (who prepares the document) are not allowed to enter it as a lump sum. (which would make things very easy to see and understand on the statement) Because of this, they have to find ways to show that the money was distributed by parsing it out through several different charges. Let's say a buyer is receiving $2,000 in closing costs from the seller. The escrow officer must find $2,000 of charges to even things out. Occasionally you will even see small charges being made of just a few cents in order to balance everything out to the last penny. As you can see from Paragraph 12 of the Texas Real Estate Commission's One To Four Family Residential Contract (Resale), the order in which the expense must be paid are laid out (Paragraph 12 A. (1) (b)) as well as what the buyer's expenses are (Paragraph 12 A. (2) (a) and (b)). To make this parsing of costs a little more difficult, the lender must approve the HUD-1 Settlement Statement. 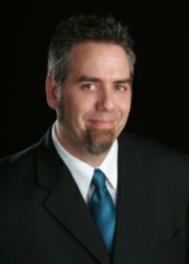 Each lender can determine what is allowable or not-allowable as far as who pays for what. This requires the lender and the escrow officer to communicate clearly what charges they can put in which column. I have seen a lender reject a HUD-1 because they didn't want a charge in one column or another and the escrow officer had to go back and find a new place to deal with the remaining charge. So while it may look a little strange to see the buyer's loan costs in the seller's column, it is actually all fairly balanced out. When you receive your HUD-1 Settlement Statement, you should speak with your Realtor® immediately to be sure you go through all the charges, check the math, and determine that it all adds up. This is a post in a series on real estate education to help define some of the finer points of contracts and the process of buying and selling real estate in San Antonio, Texas (it's Texas real estate, so if you live outside of Texas, these articles may not apply to you). You can read the previous posts; "Realtor® Speak 102: What do I need to bring to closing?," "Realtor® Speak 102: Who's paying for the survey?," "Realtor® Speak 102: Does that come with the house?," and "Realtor® Speak 102: What if the house burns down?" or check out my ongoing series Realtor® Speak 101 at RErockstar.com. Realtor® Speak 102: Does that come with the house? Java Junction - A quick stop on 3009 for coffee in Schertz, Texas.